The Arencross UK series gets off this weekend in Belfast and one rider who will be looking for success is Jack Brunell. The Brit is an experienced Supercross rider and is a regular in the Arenacross UK series so he’ll certainly know what to expect and he’s usually not very far from the front. We caught up with the Kawasaki man to get his thoughts heading into Belfast. Gatedrop: Jack, the Arenacross UK series gets underway this weekend in Belfast. You must be excited for the series to get underway again? Jack Brunell: Yes, I am looking forward to racing in Belfast this weekend, it’s always a good event and I enjoy coming over to see the Irish fans. Gatedrop: What have you been doing to prepare for the event and how’s it been going? Jack Brunell: I have been riding at Cusses Gorse AX track and at the Slade Compound which Justin built. I feel like my riding is really good this year, the new KX450 is a great bike. Gatedrop: There’s been a number of changes for the series this year, what’s your thoughts on the changes? Gatedrop: Did you ever considering competing in the pro lites class this year? You’re pretty good on the 250cc! 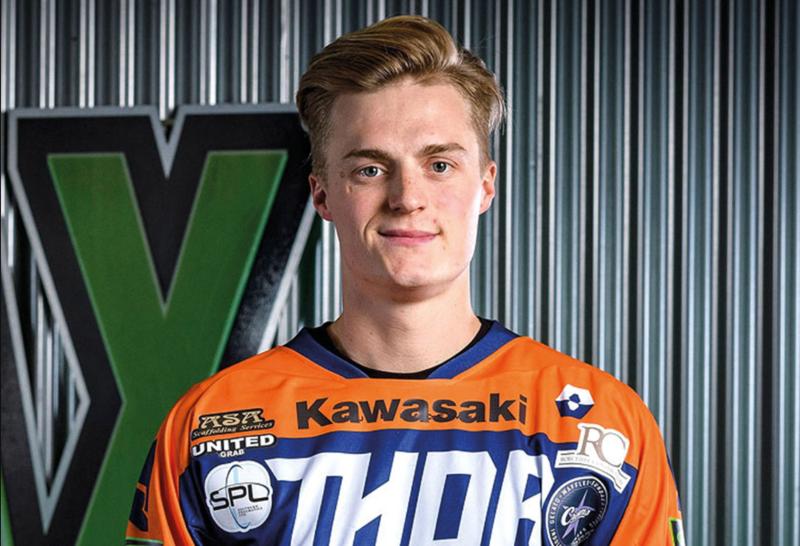 Jack Brunell: It would have been cool to ride the pro lites this year, they have some really good riders, but I don’t have the budget to build a good 250! Gatedrop: What are your expectations for the series this year? Jack Brunell: To stay safe and podium the super finals! Gatedrop: There’s a few new riders contesting the series this year such as Aranda, Schmidt, Martinez and Root etc. What’s your thoughts on the rider line up for the series? Jack Brunell: It’s tough every year, there’s always good riders, so we’ll just see how it goes at the first round. Gatedrop: Who would you consider the title favourites going into the first round? Jack Brunell: Anyone on the starting list could be the favourite, just got to get out the gate and stay consistent. Gatedrop: Have you got a favourite round of the series and if so why? Jack Brunell: Birmingham is my favourite round because the dirt is always good and its the closest one to home for me this year. Gatedrop: You seem to come alive at this time of the year! What is it about SX you love so much compared to Motocross? Jack Brunell: Riding inside stadiums and not getting dirty! I also think it’s a lot more fun! Jack Brunell: I’d like to thank Ross at Kawasaki UK for giving me the opportunity again this year. Ben at Madisons UK for supporting me with all their products. I’d also like to thank all my personal sponsors for their continued support – Creams Windsor, Southern Pneumatics Ltd, United Grab Hire, Atlas Security Doors, ASA Scaffolding Services, Degrees of Comfort Air Conditioning and MYSA Float Therapy & Fitness Centre. Also a big thank you to John Slade for putting up with me riding at his track all the time and my spanner man Jason Snaddon AKA Snads/Ginge.